I hit a snag in my 5k training when what was meant to be 2, maybe 3 days off from running turned into a week long break. In my defense, I did run up to my hair consultation because I anticipated taking a break, but once my locks were straight running and working out in general were a wrap. What makes this situation even more humorous is that I wasn't even wearing my hair down in straight styles lol... Still, it was nice to have a break from the daily styling and I took it and ran with it. I was starting to feel guilty for not running so after my week off I got back on the Couch-to-5k program. I'm currently entering week 4 and almost halfway through my training. The weather in SC is getting warmer so I'm trying to find a better time to do my outdoor running. I'm not much of a morning person so I can't bring myself to take advantage of the cool breeze in the early hours... and I don't want to get snatched running around this place at night (yes, I'm paranoid of getting kidnapped lol... something I've carried over from childhood). 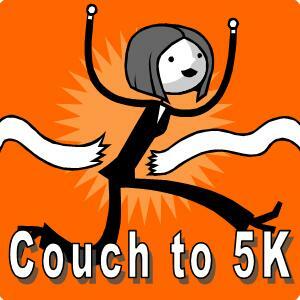 One of the great things about the Couch-to-5k program is its versatility. You can use it running outside or indoors with a treadmill. The great folks at our apartment complex are in the process of replacing the treadmills (all of them are broken) and I'm glad. We pay too much money to have a gym with equipment consistently glitching out. Sidebar: While I've been doing all this cardio I started to pass on weights. Last week I started incorporating weight training back into my routine and it felt amazeballs. I don't want to look swole or anything, but there's no better feeling than seeing your muscles in the mirror lol.